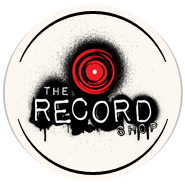 Barry has teamed up with For The Record to share his reviews with the latest in recording products. Barry is a recording engineer/producer and contributing editor for MIX Magazine, ‘New Toys’ columnist for L.A.’s Music Connection Magazine, and writer for www.prosoundweb.com. He also is editor/writer of Gear Lust, his online special review section at www.barryrudolph.com. SPL aka Sound Performance Labs is an old hand at level-independent dynamic processing with the invention of theTransient Designer and the Transient Designer plug-in, two of their best products. But the new DrumXchanger drum replacement plug-in might eclipse that triumph. DrumXchanger will replace drum sounds in multi- track sessions no matter the level changes and track dynamics. All drum hits are tracked and replaced including ghost notes, fast fills and rolls. It will do this in real time and in sample phase-accuracy with the original signal. This week, For The Record features producer/engineer/writer, Tony Rockliff sharing some insight on the common mistakes that musicians make with their online content. Check out indietrack.com/blog for more helpful articles for recording artists. Pro Tools, AVID/Digidesign’s benchmark digital recording software, is synonymous with the production of hit records. In this article, we take an in depth look at three levels of Pro Tools studio systems: The M-Box studio ($250-$1000), The 003 studio ($1200-$2,500), and the HD studio ($10,000+). We will also discuss some important add -on’s that can be a great addition to any Pro Tools System.